Ok, I know I haven't been on here in forever. So many things have changed in the last couple of years. We've lost loved ones, moved across the country, ect. ; but that is a story for another time. 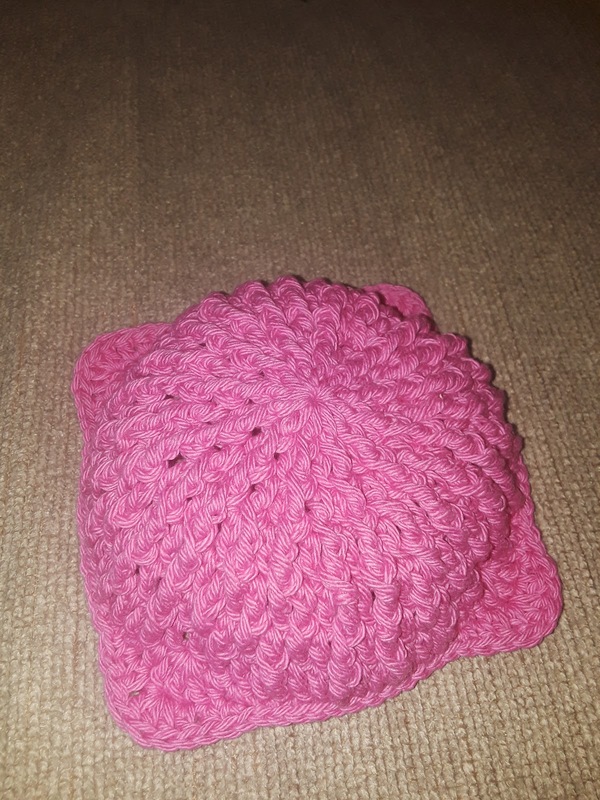 I started crocheting again; and needed a place to post a new pattern. I figured I would try posting here on my old blog. I wanted to get the pattern posted quickly for others that were asking. 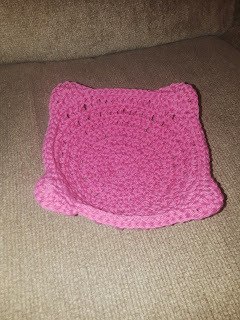 I will eventually get it linked on Ravelry, once I figure out how. 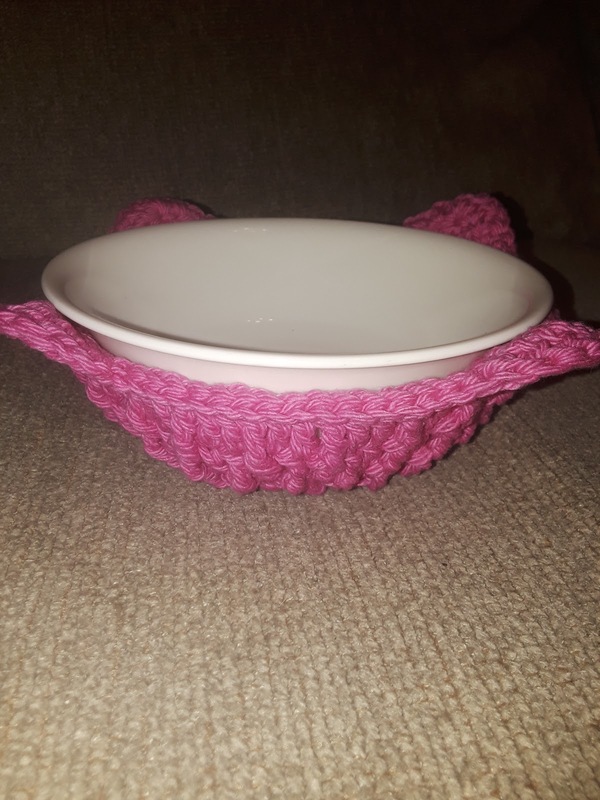 When I warm up food in a bowl in the microwave, I usually use a pot holder or towel to handle the bowl. I do the same when I have a bowl of ice cream. I figured it would be easier to make up a hot pad made especially for bowls. I know that a lot of people have been sewing similar items but I decided to crochet one while watching tv. I'm one of those people that has to multitask. I have to keep my hands busy. I love texture. 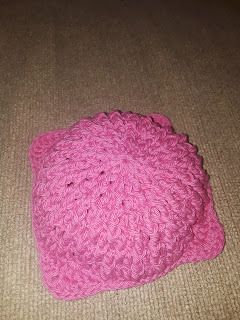 I used a lot of front post double crochet and front post triple crochet, some of my favorite stitches currently. Anyway, here is the pattern that I came up with. Please let me know if you see any mistakes. I wrote it up pretty quickly. This fits my Corelle bowls. Use 100% cotton. It is washable and safe to use in microwave. Just make sure that it is dry before using. 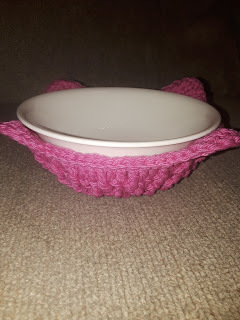 I used Peaches & Creme yarn. 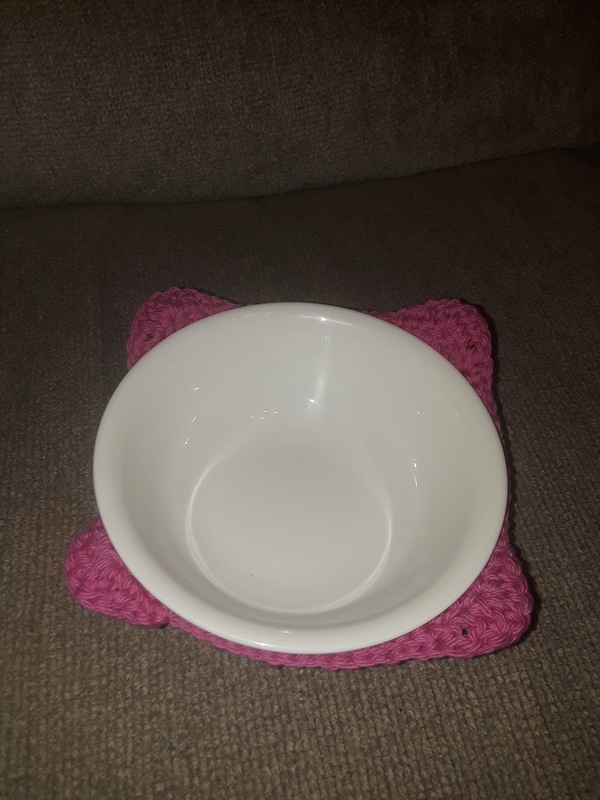 I also used Premier Home yarn but it is a little thinner. I used a 4.0 hook but use whatever works for you. Experiment. These are really pretty when you use a different color on each row, except maybe do the last 2 rows the same color. Row 9: Ch. 1, SC in SC stitch, HDC in HDC stitch, DC in 1st DC, 3 DC in 2nd DC, DC in 3rd DC, HDC in HDC, SC in SC, sl st in next 13 sl st, *SC in next SC, HDC in HDC stitch, DC in 1st DC, 3 DC in 2nd DC, DC in 3rdDC, HDC in HDC stitch, SC in SC stitch, sl st in next 13 sl st* Repeat to end, sl st into sc. Finish off. Weave in ends.